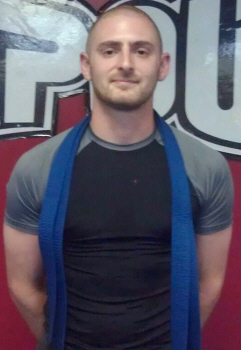 The Pancrase Academy of Broomfield, Colorado is pleased to announce that Mr. Tobin Zdarko has been promoted to the rank of Blue Belt of Pancrase Mixed Martial Arts. Congratulations. Pancrase Black Belt Enrique Watson recently competed in the North American Grappling Association’s grappling tournament in Missouri on 13 October. Being the only competitor in the 200-224 weight class, Enrique wrestled in the no gi open weight class Expert division. Enrique won all three of his matches by submission (Vonflue choke, arm triangle, and knee bar) to take first in the division. After winning the division, the NAGA staff asked if he would compete with the gi for a Black Belt who didn’t have an opponent. Enrique obliged and grappled against 3 time Brazilian national champion, Ismael Hadade. While Enrique lost this last match, he was a game competitor against a seasoned opponent. Enrique is a Marine stationed in Fort Leonard Wood, Missouri. 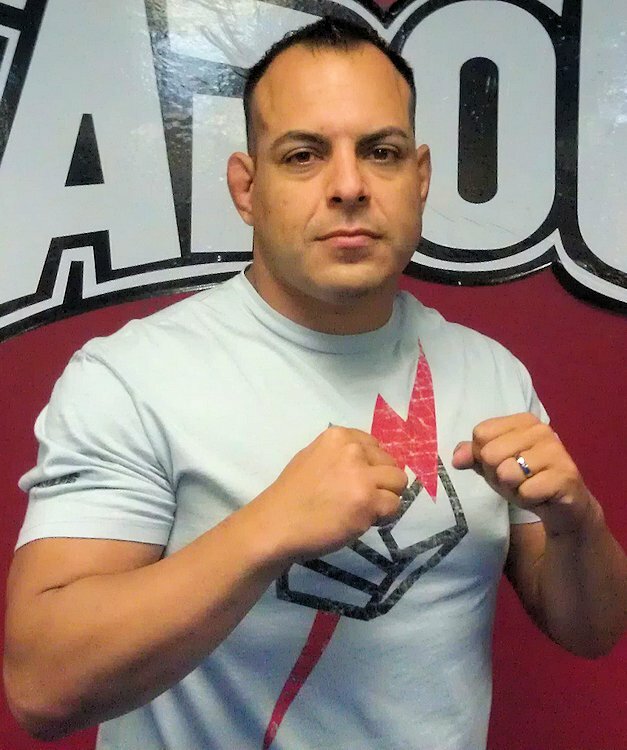 He continues to instruct at the Army Combatives Fight House on the base and has been invited to train with Luigi Fioravanti at American Top Team affiliate, Evolution in St Louis. Congratulations to Nate Feldman for his promotion to Blue Belt of Pancrase Mixed Martial Arts. Nate trains under Black Belt James Wright of Wright's Extreme Martial Arts in Jacksonville, NC. 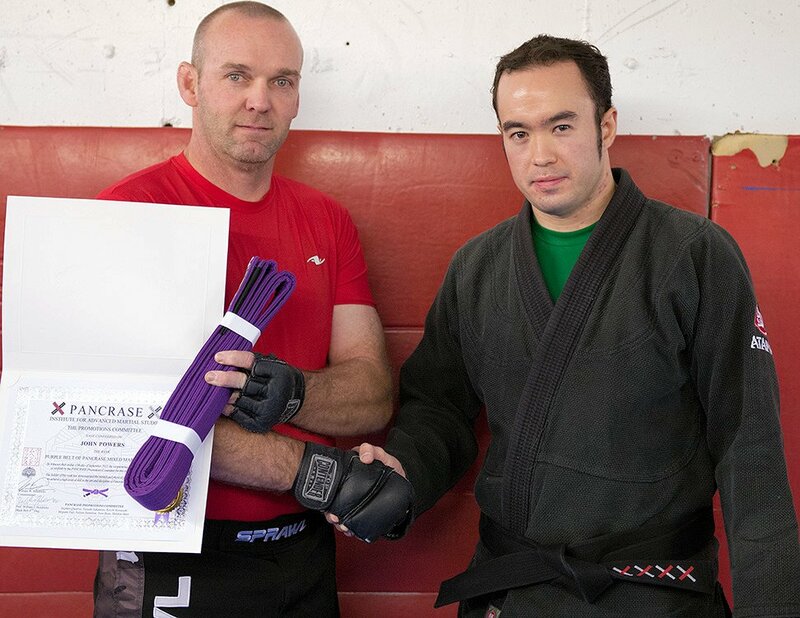 Congratulations to Mr. John Powers for his promotion to the rank of Purple Belt of Pancrase Mixed Martial Arts. 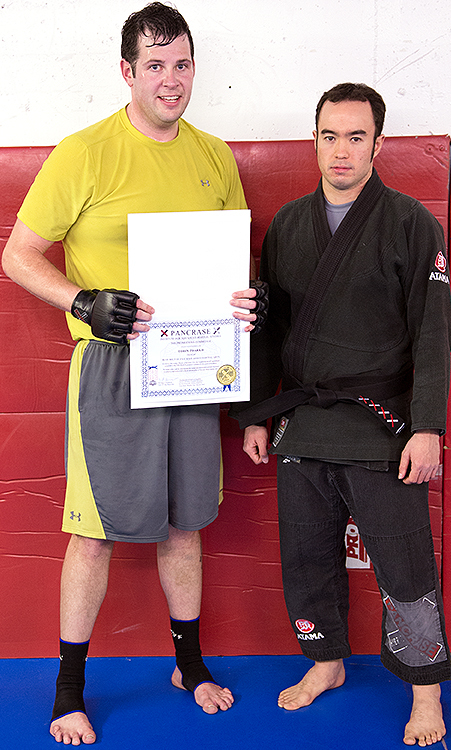 John is a long-time student at the Pancrase Academy and a veteran of the cage.